Shooting stars are really meteorites that generate a fireball as they come through the atmosphere – you may have seen one of these yourself. Imagine an end-to-end system that goes from seeing a shooting star, to holding it in your hand. Well Phil Bland, Principal Investigator of SSERVI’s Australian node, has done just that. Dr. Bland and his team have spent the last three years building a digital, autonomous network called the Desert Fireball Network (DFN), which images meteors as they fall, accurately measures their speed and direction, and uses this data to precisely calculate their landing zones. 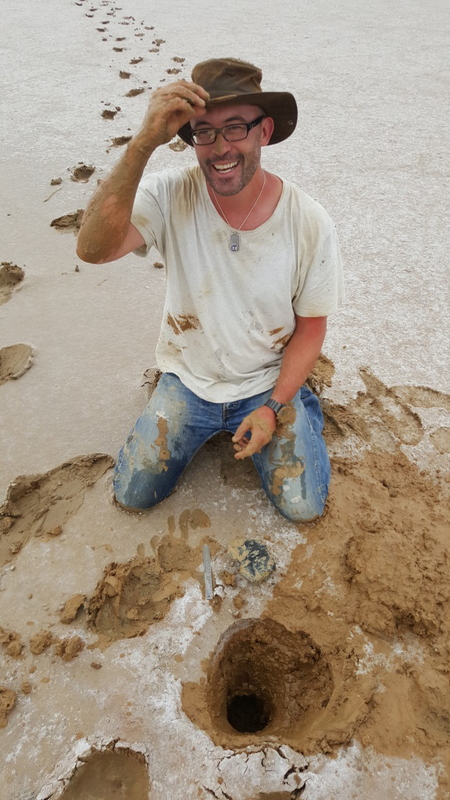 DFN researchers then go out and recover the meteorites. By making networked observations of the fireball scientists can triangulate its trajectory, track the rock forward to where it lands, and back, to where it came from in the solar system. 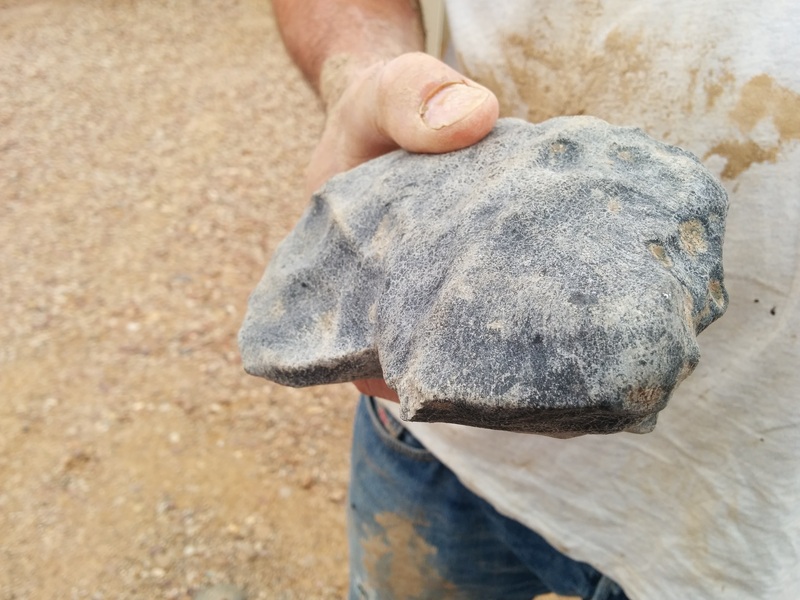 When a meteorite is seen falling and then recovered, that’s pretty rare. When it’s captured on a camera network too, that’s gold! Using the DFN, scientists can find out valuable information about meteorites and their origins within the solar system. Once the meteorite’s original orbit is known it may be traced back to the source parent body from whence it came. 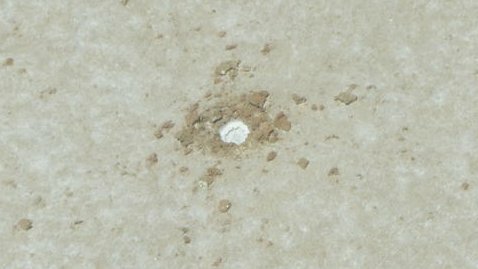 After recovering and analyzing a fallen meteorite it is possible to determine its composition, and by extension, the composition of the parent body. Meteorites are the oldest rocks in existence; the only surviving physical record of the formation and evolution of the solar system. They sample hundreds of different heavenly bodies. Potentially, meteorites offer a direct route to understanding our origins. But to decode that record we need to know where they come from. 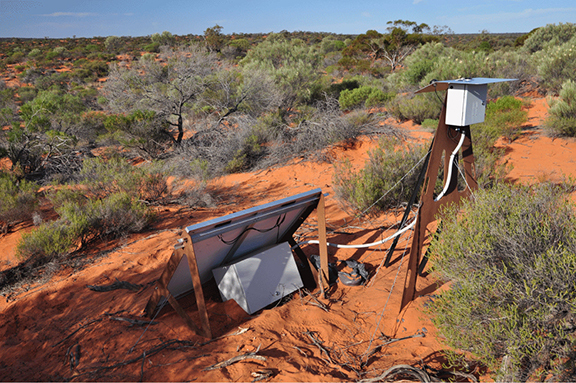 The Desert Fireball Network (or DFN for short) is designed to provide that data. 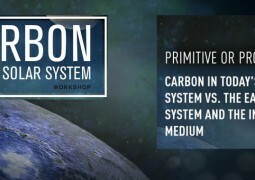 Knowing where a meteorite came from, and what it is made of, helps us address some of the biggest questions in planetary science: how our planetary system came into being and how dust and gas produced a planet capable of supporting life – our Earth. The results feed directly into SSERVI at a collaborative level, complementing the current research efforts of SSERVI’s U.S. teams. For scientists studying meteorites, the DFN can deliver meteorites with orbits. For researchers interested in the dynamics of material in near Earth space, the DFN is producing the biggest database of orbits of asteroid debris—whether it burns up in the atmosphere of makes it to the surface. The team is currently working with SSERVI researchers to explore some of the potential collaborations. “Phil and his team have really made a significant step forward in our ability to track incoming meteors to their region of origin in the asteroid belt,” said Dr. Yvonne Pendleton, SSERVI Director. 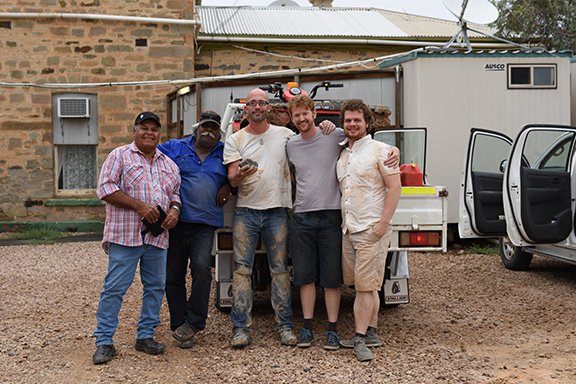 This is the story of the team’s expedition to find their latest meteorite—the Kati Thanda-Lake Eyre South Meteorite (note the meteorite will only have an official name after classification and acceptance by the international Nomenclature committee of the Meteoritical Society; the team has asked the local indigenous Arabana people to give it a local area name). •	Smells a bit like salty mud! •	Wondering why no one is wearing gloves? This rock is as Earth-contaminated as you can get, having rested for more than a month in thick mud. Handling? Not an issue. The Fireballs in the Sky app allows you to get involved with the Desert Fireball Network research by reporting your own meteor sightings to scientists. They use your reports to track the trajectories of meteors – from their orbit in space to where they might have landed on Earth. Sound like something you’d like to be a part of? Luckily Fireballs in the Sky is a citizen science initiative that allows everyone to share the discoveries of the Desert Fireball Network. On their website you can see the research project as it happens, or use the app to report a fireball (see “About the App” below for additional information). 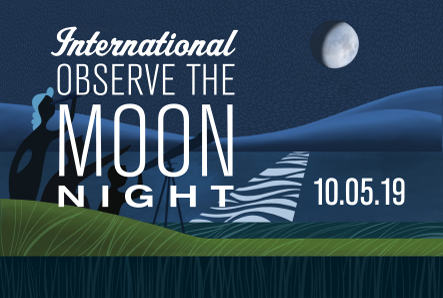 You can also use the app to go meteor gazing! Select ‘Meteor Showers’ or ‘Next Shower Peak’ to have your phone point you in the direction of the current meteor shower. 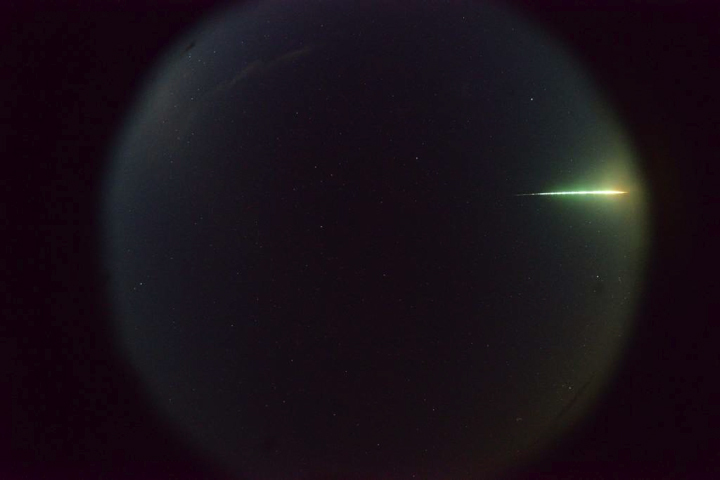 You do not need to take a video recording of a fireball. 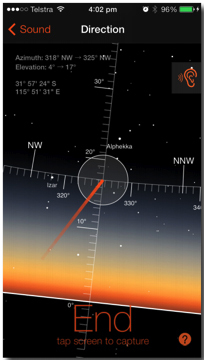 The app displays the celestial sphere (star map) for you to click and drag the path of the fireball from start to end. The app then prompts you to indicate duration, shape, color, brightness and fragmentation. It also prompts you to make a note whether you heard a sonic boom during or after seeing the fireball. Enter your details to hear back from the team and find out about developing research on your fireballs! As well as reporting detailed meteor sightings, the app also keeps you up to date with the latest images, news and announcements from the Desert Fireball Network project.